Readers of this blog know how much I love Amarone, an expensive Italian wine from Veneto that dries grapes before they are crushed, resulting in a very rich, very bold red wine. 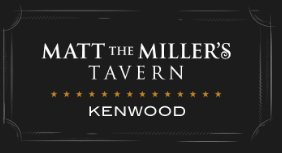 Because the process to make it is so intensive – and very regulated – the wines tend to be in the $50 to $70 dollar range, and therefore difficult for most of us on a budget to drink regularly. Since my very first Amarone, I have been on a quest to find similar tasting wines, without the high price tag, and I’ve had varying levels of success. 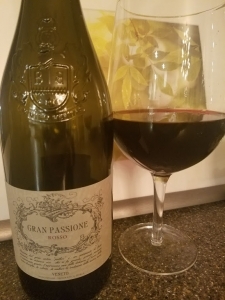 Gran Passione Rosso is made by the Botter Family Winery, a family estate that was founded in Veneto, Italy in 1928. They’ve been at it awhile, and make a lot of wine, some of it experimental. Gran Passione, or “grand passion,” tastes very much like Amarone, but it’s made of mostly Merlot, blended with Corvina, only one of the three traditional Amarone grapes. Italy has very strict regulations when it comes to the labeling of their varietals, and since Merlot is not a traditional Italian grape, and there are no Merlot/Corvina blends in Italy of which I am familiar, Gran Passione does not have their sticker of approval; but don’t let that stop you from buying this wine! Somehow, for $12, the Botter family has made a wine with similar depth of flavor and the bold taste of Amarone, for a fraction of the price. The grapes in Gran Passione are dried before pressing, a process called “apassimento,” then they are fermented and oak aged. Pull the cork and you’ll taste black cherry, raisin and cinnamon, with smooth tannins and an unbelievably long finish of pepper and plum. This wine is a winner, with an unreal quality to price ratio (QPR). 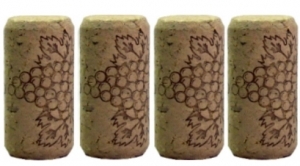 On my five-cork scale based on taste and value, the 2015 Gran Passione Rosso gets four corks! If you like rich Italian reds, you won’t find a better buy than this for the price.